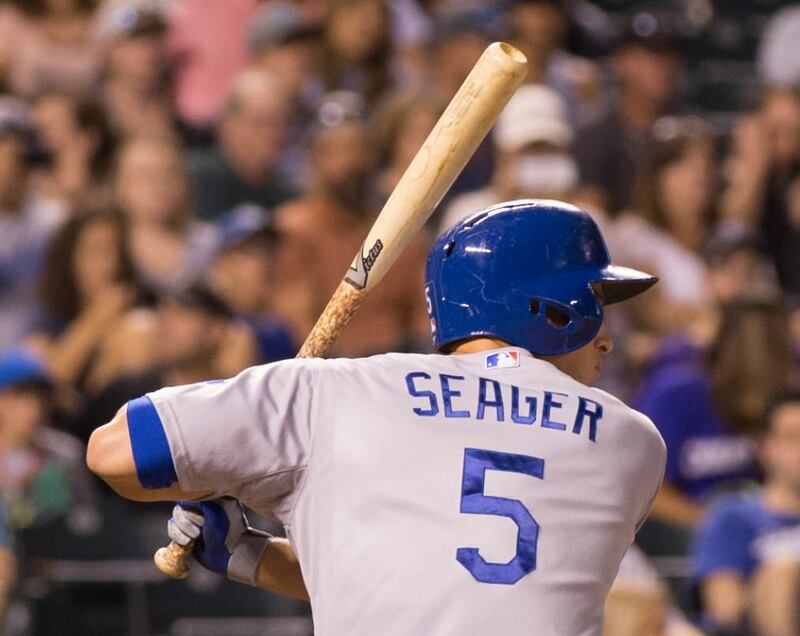 Our most popular post now and for the last couple of seasons has been our “Top 3 Bat Brands Swung by MLB Stars” post. We did that post in 2013, and its time for a much needed follow-up. Our research is based on the guys we’ve profiled, and we looked back to 2015 to determine what bats they use most consistently. If a guy uses two brands consistently, a half-share has been awarded to each. 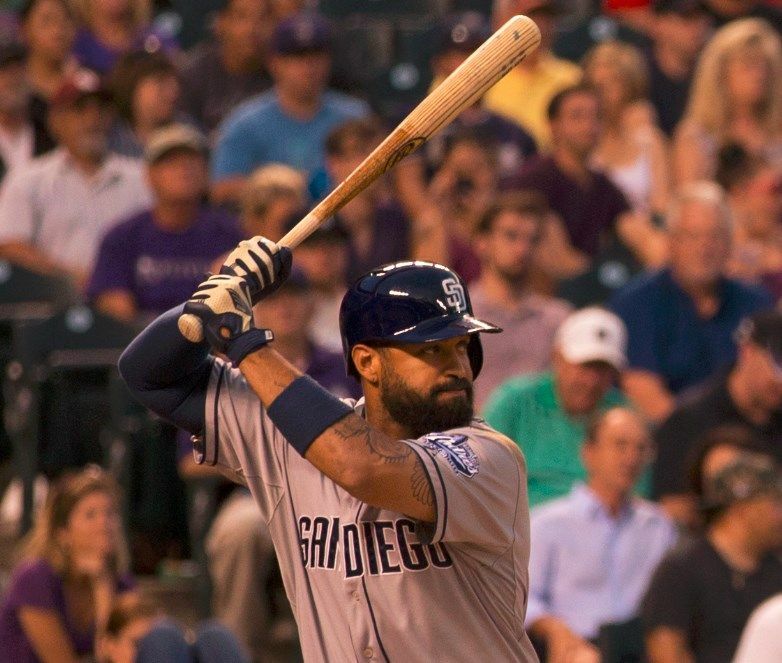 A small percentage of Big Leaguers are especially erratic with their usage. Guys like Salvador Perez, Bryce Harper, and Yasiel Puig often use multiple brands in a single game. If we found a player (Perez, Harper, Puig included) to have used three or more brands in 2015, we did not include them in the tally. 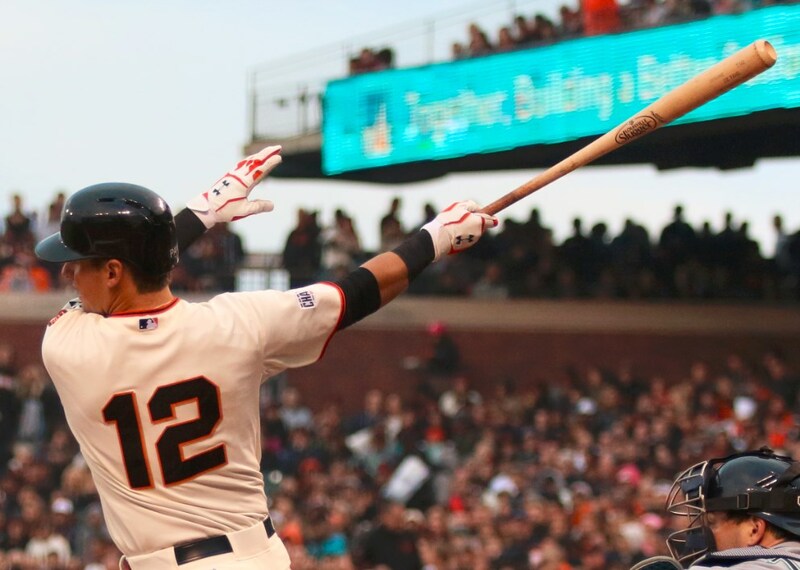 If there was a total outlier, like when Robinson Cano went up with Mike Trout’s Old Hickory for one at-bat, we did not attribute the single-use brand to that particular player. Again, THIS IS NOT SCIENTIFIC. We simply observed and tried to be as fair to all brands as possible. Regardless of its flaws, we think this poll is a pretty good representation of the league at large. We’ve polled 76 total players, and 69 total shares have been counted in the following chart (**that’s what the asterisk is for**). 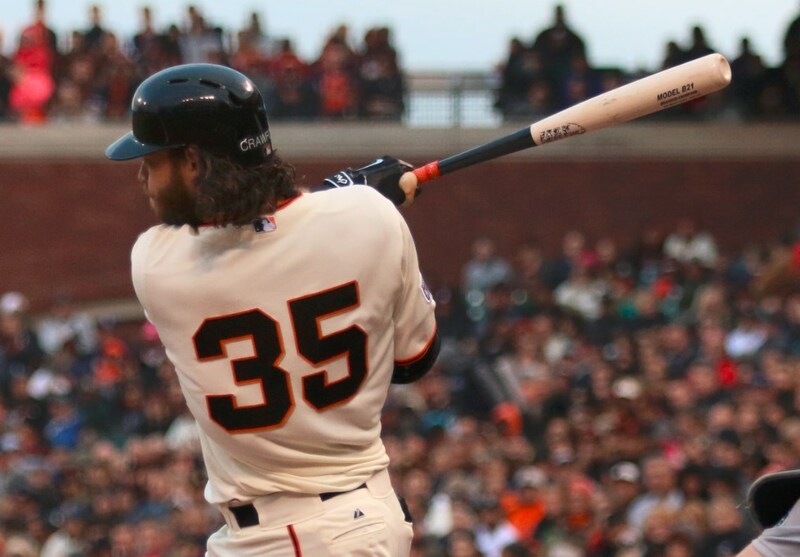 Brands received a full share if they were the exclusive bat of a particular player. 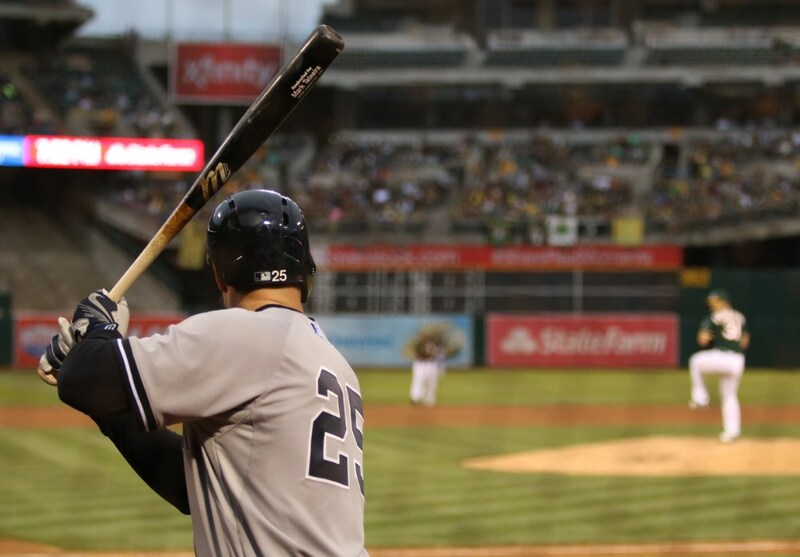 If a player used two brands consistently, each brand has been awarded a half-point. 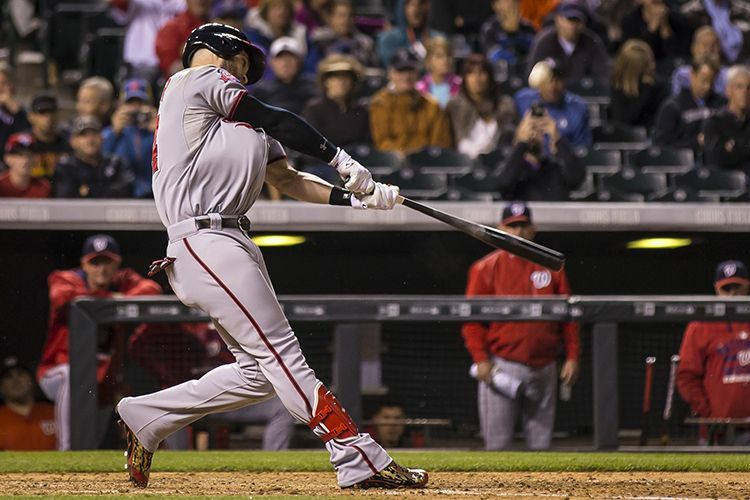 Marucci, like the 2015 All-Star Game, is dominating the Big Leagues. 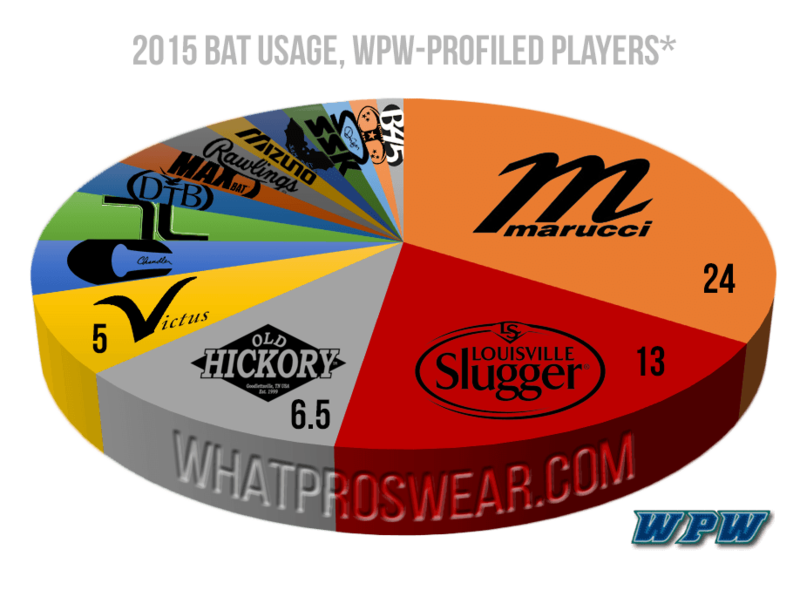 Of all WPW-profiled players, Marucci has reached 34.8% usage. Slugger was the more popular bat back in 2013 when we last reported on bat usage, but Marucci’s Maple has beaten Slugger down. Though they got 24 shares in our chart, Marucci had 34 total players swinging their bats in 2015. Marucci is the most popular bat in the game today, hands down, and indications are that they are only gaining market share. Louisville Slugger holds on to second place among WPW-profiled players, with 13 shares, still with a comfortable lead over the rest of the pack. 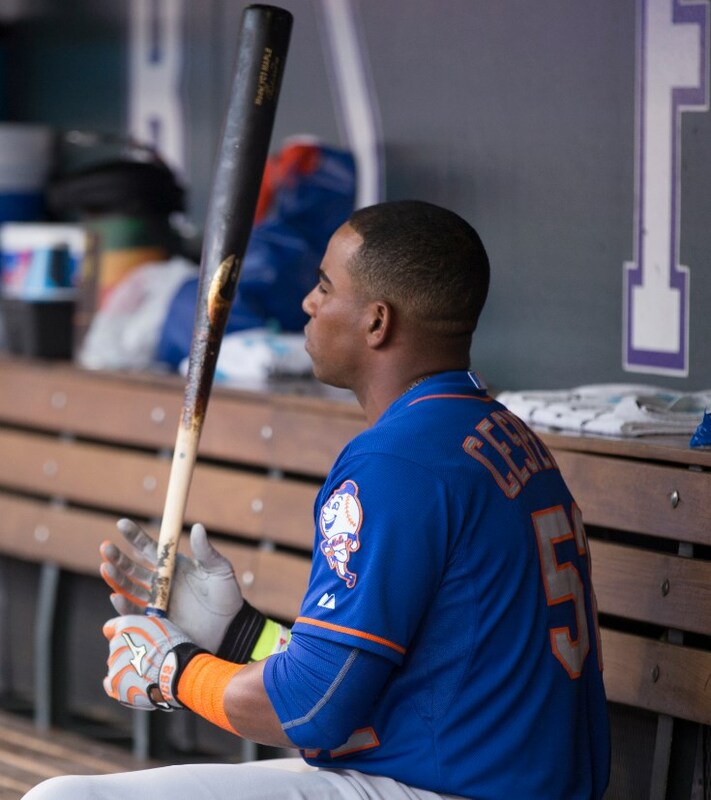 They have plenty of young stars and though they aren’t #1 as they’d been for more than a century, Slugger isn’t going anywhere. Old Hickory holds onto the third spot from 2013, making the top three brands the same, though Marucci and Slugger have flipped. Old Hickory seems to keep their guys around for a long time. 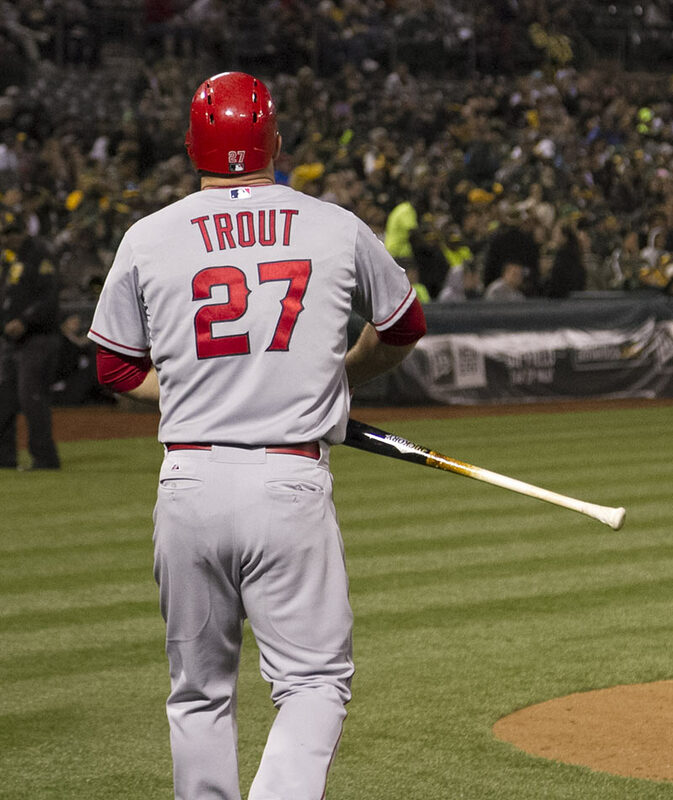 We see no deviation whatsoever in superstars like Mike Trout, Lorenzo Cain, and Paul Goldschmidt. 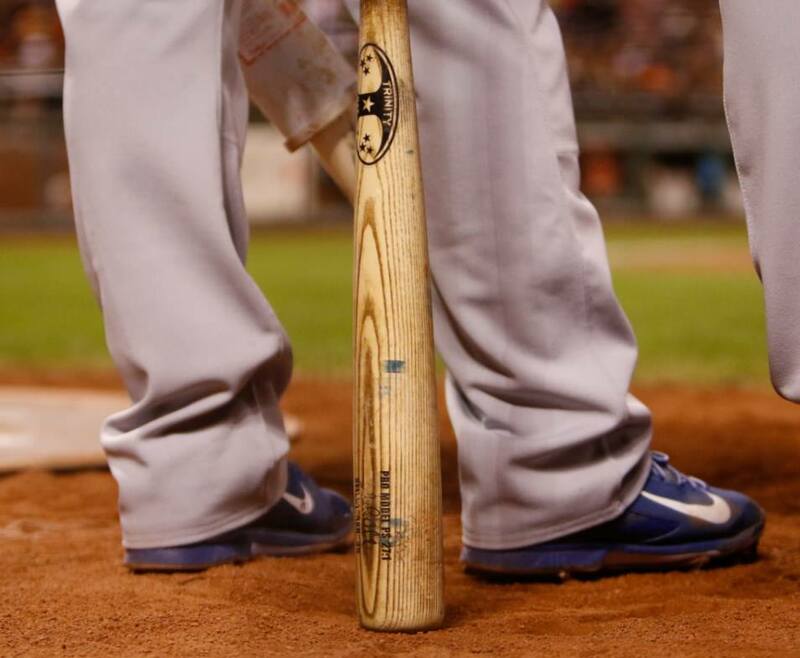 Victus came on strong this year, especially in Boston where we saw Pedroia pioneer the Axe handle. Mookie Betts and Hanley Ramirez began swinging the Axe in-game, too. It wasn’t just the Axe, though, that got Victus into the game. Kris Bryant and Corey Seager both came up to the Big Leagues swinging Victus with traditional handles. Chandler and Tucci are right in the mix with Victus for the top new brands in baseball. They’ve all been around for a few years now and are slowly building their reputation as a prime alternative to the top dogs. 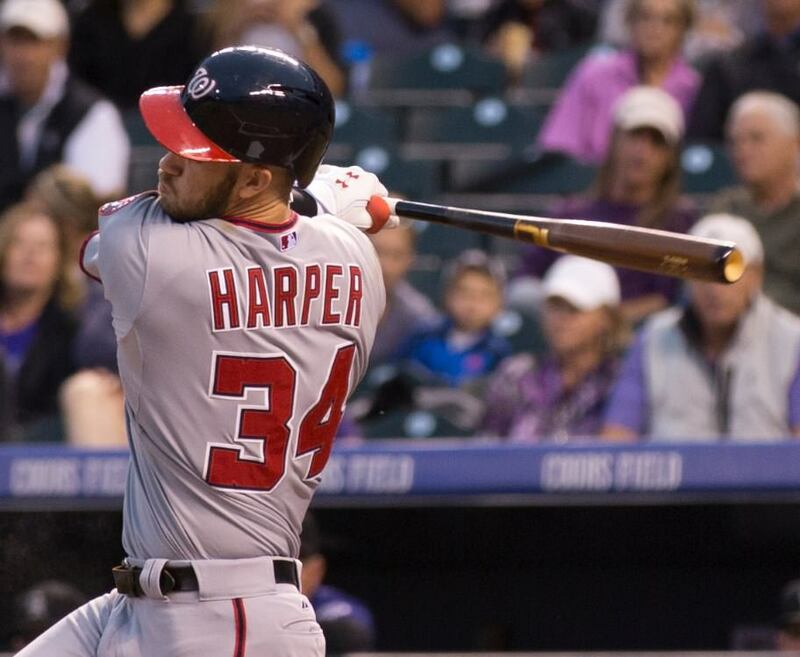 Harper swung both Tucci and Chandler for long stretches in 2015. Dove Tail is a brand that gained some steam with the very experimental Kansas City Royals in 2015, and it was with a Dove Tail that Alex Gordon, a Louisville Slugger contract guy, hit his pivotal 9th inning home run off of Jeurys Familia in Game 1 of the World Series. Now that we’ve got a decent handle on the Big League choices, which brand do you swing?